One of the workshops during a fieldtrip. 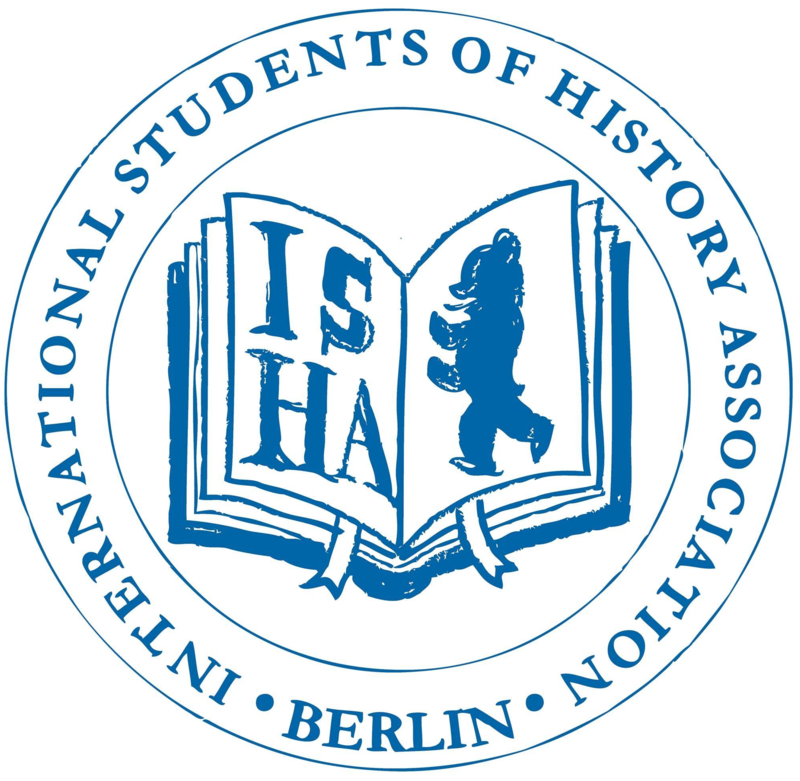 ISHA Berlin organised the ISHA Summer Seminar 2013 with the title “Historical Places and Space in History: Turning Public Historical Sites into Participant-activated Workshops”. 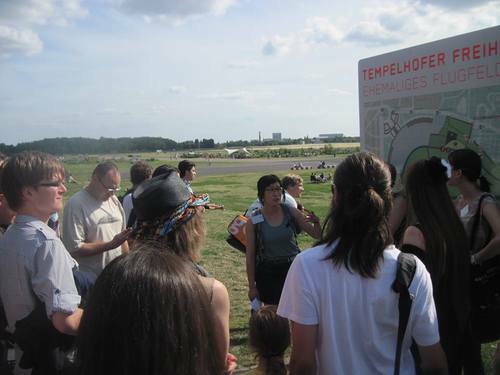 It took place from the 15th -21st July 2013. Space – Perception – Place. An Introduction by Max Boguslaw. Space in epistemological perception, in the broadest possible meaning, has long been described together with time as a form of order of a manifold. In that sense, space is neither the container of frames, nor their relation, it is the mode of their connection. Due to the far-reaching implications and timelessness of this definition, it may appear useless as a concept. On the other hand, space as physical space, like time is necessary as a category of perception. As such it is the condition a priori of all empirical knowledge and their objects. The displacement of epistemology as answer-generator for questions about the conditions of the possibility of knowledge seems to have gone hand-in-hand with a shrinking interest in space. If we follow the perception of scholars who claim (or are considered) to be a part of the Spatial Turn, the decreasing interest in space can be seen as an effect of a tighter growing world, increasing possibilities of travel and speed of information and the firm belief in progress and the overcoming of space and time as given obstacles. This critique, of course, has happened long before and the Spatial Turn might be seen as history itself but as it is the nature of turns in the humanities (compared to paradigmatic changes in natural sciences), they add a certain perspective rather than overtake another one. Since thinking about space has a certain place in German history, whether it be its ideological over-stressing by scholars in national-socialist Germany or the active neglect of space as a field of interest by academics too anxious to even touch that topic afterwards, Berlin appears to be an ideal place to exchange thoughts on that topic, discuss their substance and connect them with perceptions of places here. The Summer Seminar 2013 hosted an ISHA General Assembly. 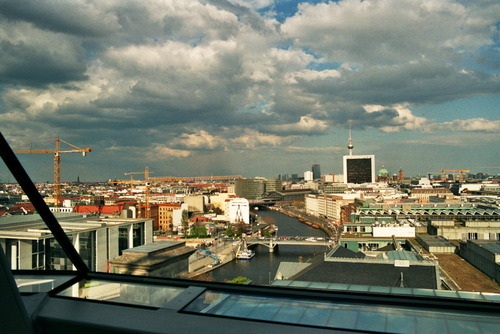 View over Berlin from the Reichstag. 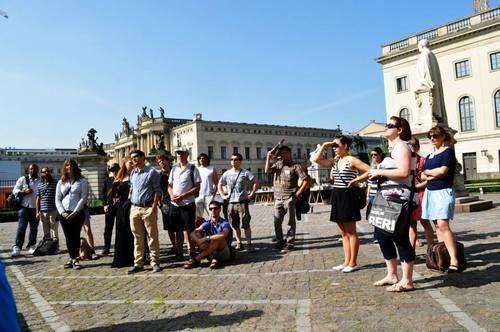 One of various city tours during the Seminar.